July is always a month of memories for me because my grandfather, Marion Rowland Perry, Jr. was born on July 11 and my mother, A’Lelia Mae Perry Bundles, on July 22. 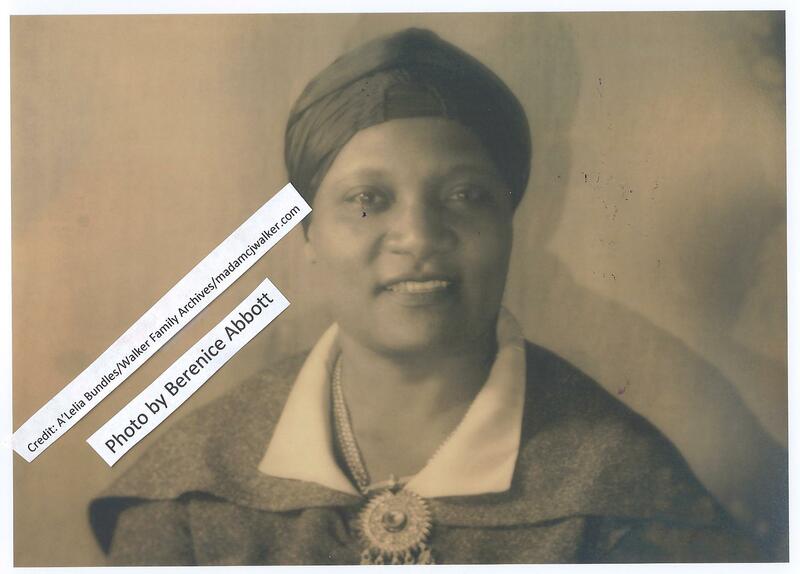 During the summer of 1982–as I was in the midst of doing research for the first of my two biographies of my great-great-grandmother, Madam C. J. Walker–I visited my grandfather for his 90th birthday in Pine Bluff, Arkansas. I shared stories about that magical visit–and my rediscovery of a steamer trunk filled with Walker family treasures–in the prologue of my book, On Her Own Ground: The Life and Times of Madam C. J. Walker. 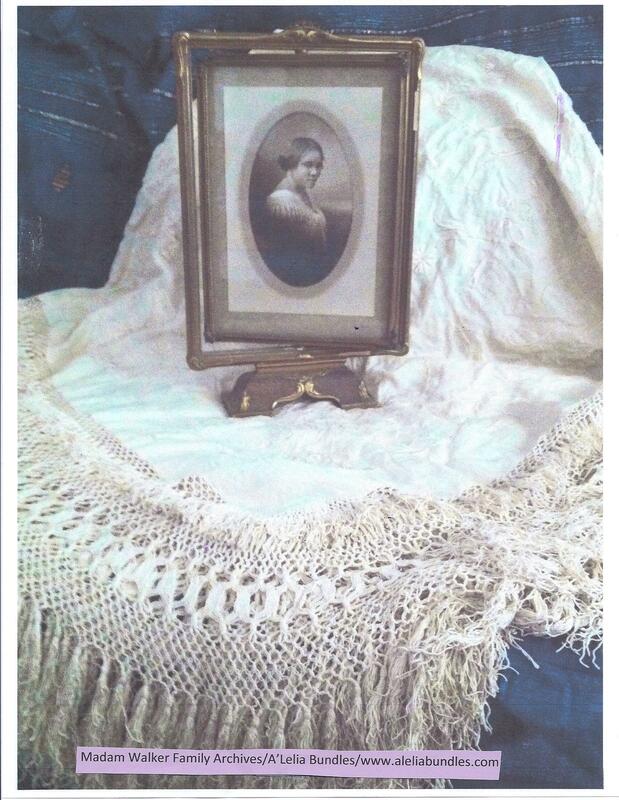 My dear PaPa had saved all the items I remembered from my childhood visits to his Indianapolis apartment: Madam Walker’s mother-of-pearl opera glasses, my grandmother Mae’s wedding dress, my great-grandmother A’Lelia Walker’s 1919 marriage license (complete with pressed baby’s breath) and her gold filigree-trimmed negligee. June 30, 2011: Secretary of the Interior Ken Salazar today announced that The Woodlawn Cemetery in The Bronx–where enterpreneur Madam C. J. Walker and her Harlem Renaissance arts patron daughter, A’Lelia Walker, are buried–has been designated a National Historic Landmark, the highest recognition accorded to the nation’s most historically significant properties. I learned to read music on a Chickering baby grand piano that had belonged to my great-grandmother, A’Lelia Walker, but it really was my mother, A’Lelia Mae Perry Bundles, and my grandmother, Mae Walker Perry, who had musical talent. As the only legally adopted daughter of A’Lelia Walker and granddaughter of entrepreneur Madam C. J. Walker, Mae was afforded many privileges, including harp lessons, enrollment at Spelman College and the chance to travel throughout the United States with Madam Walker. 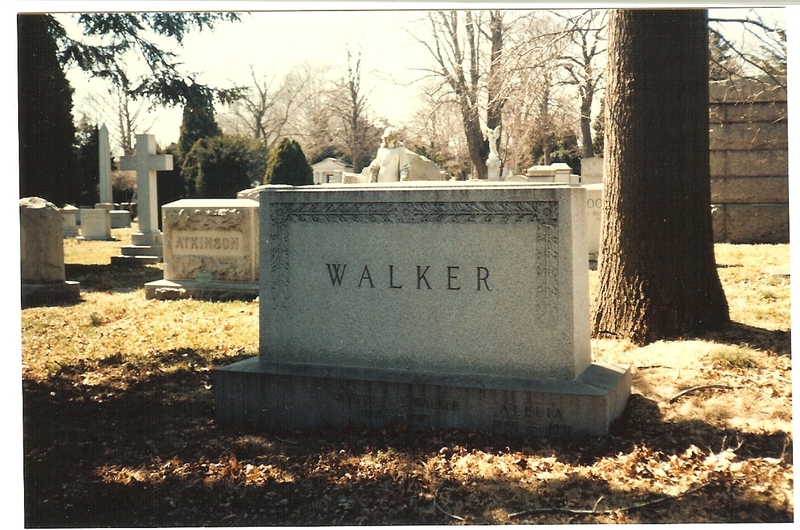 Now that I’m into the serious writing phase of my new biography of A’Lelia Walker (1885-1931), my great-grandmother and the only daughter of entrepreneur and philanthropist Madam C. J. Walker, I’ll be posting more stories about the discoveries I’ve been making. I’m truly fortunate to have inherited a trove of letters, clothes, furniture and other personal items that belonged to the Walker women. 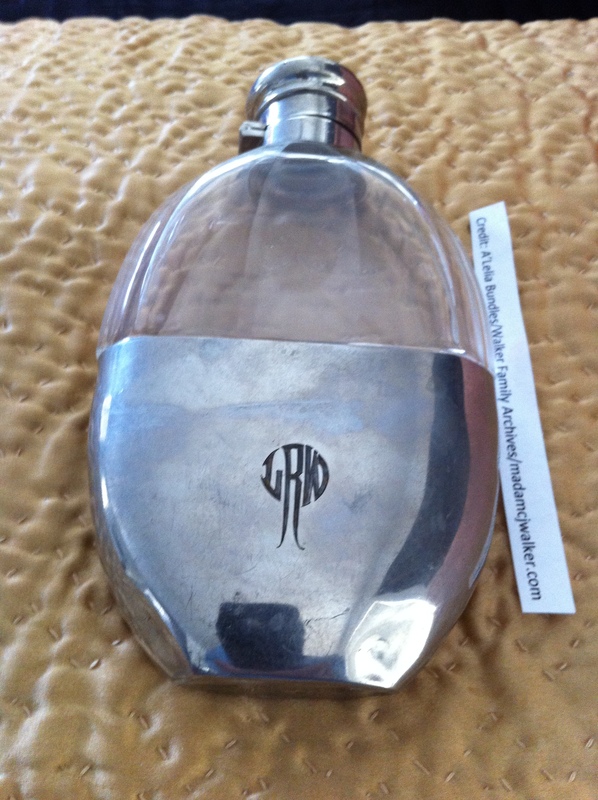 Among them is this flask. June 6, 2011: Happy Birthday A’Lelia Walker! 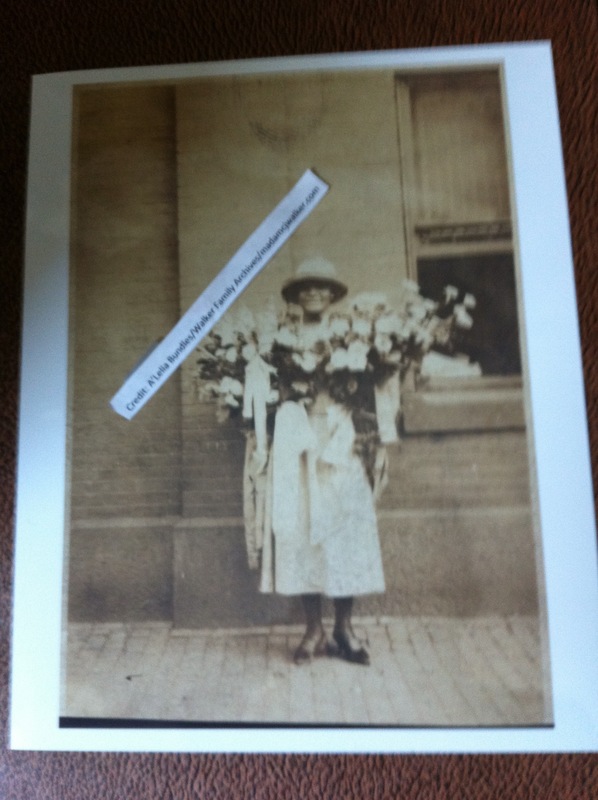 My great-grandmother and namesake, A’Lelia Walker (1885-1931), loved getting flowers on her birthday! Orchids. Dahlias. Gladiolas. Roses. She had everything else–houses, diamonds, furs, cars–plus great friends, a gregarious spirit and a love of life. Well, almost everything, but you’ll have to wait for my new book, Joy Goddess, to learn the rest of the story! A’Lelia Walker–charismatic, statuesque and stylish–posed for many of the most noted Harlem Renaissance photographers and sculptors, including Richmond Barthe, Augusta Savage, James Van Der Zee, James Latimer Allen and R. E. Mercer. 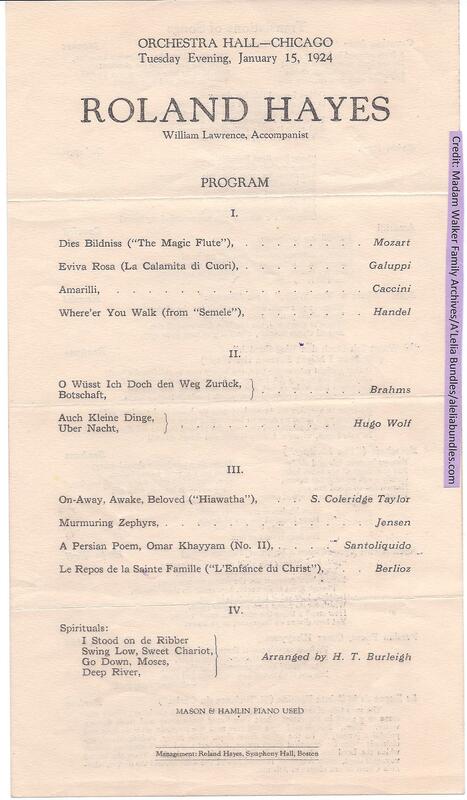 This afternoon as I was looking through my files I came across this 1945 Madam Walker Annual Yearbook. 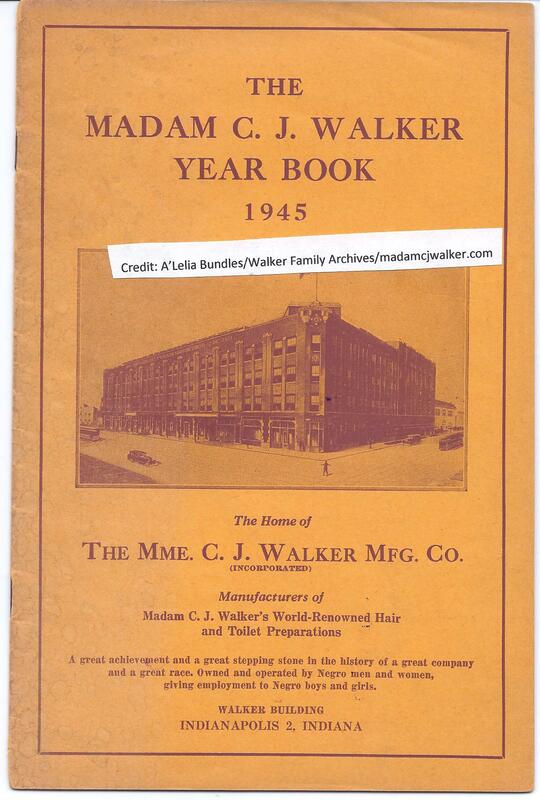 Each year the Madam C. J. Walker Manufacturing Company published an almanac with information for its thousands of sales agents. That year is a particularly significant to me because my grandmother, Mae Walker Perry, who was president of the Walker Company, would die that December. My mother, A’Lelia Mae Perry, who was a freshman at Howard University, would be named president of the company at the time of her mother’s death.